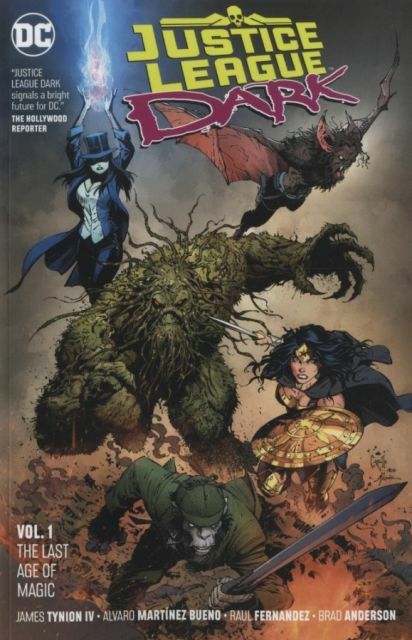 From the pages of JUSTICE LEAGUE: NO JUSTICE comes writer James Tynion IV's epic new series JUSTICE LEAGUE DARK! Earth's magic once belonged to them. Now they want the magic back. But who exactly are they? It's up to the new Justice League Dark to find out and stop this nightmarish new threat at all costs! After the events of NO JUSTICE, Wonder Woman guides the misfit magic mix against enemies too fantastic even for the Justice League. Plus, what awful things are coming through the Tree of Wonder? Dark days lie ahead in these stories from JUSTICE LEAGUE DARK #1-3 and 5-6.